If I didn't know any better, I'd think she could pass as a European. Also, I often find it hard to tell others apart, for example, I've seen Lebanese that look wholly European, Jews that look European, and Iranians that also look European, some even with blonde hair and blue eyes. MOSCOW, September 12. /TASS/. Terrorist insurgents have singled out 22 children and their parents along with a group of orphans who were kidnapped from refugee camps to ‘star’ in a video-recorded staged chemical attack op, the Russian Reconciliation Center for the Opposing Sides in Syria (part of the Russian Defense Ministry) reported on Wednesday. "Militants have selected 22 children with their parents from the communities of Zitan, Zerbeh and Birnah in the Aleppo Governorate for participation in staged chemical attacks. One more group of orphans abducted from refugee camps and intended for the filming of lethal scenes is being kept in a cell in the al-Iqab prison controlled by the terror group Jabhat al-Nusra (outlawed in Russia - TASS)," the Center reported. 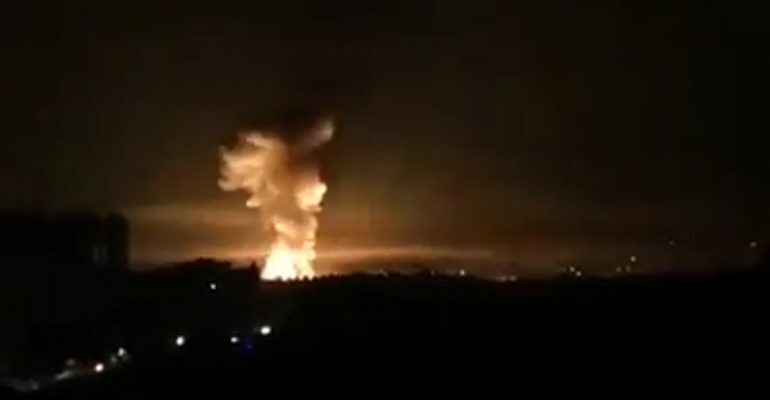 "Irrefutable information at our disposal says that yesterday, on September 11, the camera crews of a number of Middle East based TV channels and a regional affiliation of a US channel filmed nine sham scenes alleging the use of chemical warfare agents by Syrian troops against civilians," the Russian military said, adding that the filming of the episodes had taken place in Jisr Al-Shughour, in the Idlib Governorate. Poor children, not only they are doomed to die, but their death will also serve as excuse to attack their country... and someone here asked "but seriosly, why do you dislike us?" You, guys, are indeed "unique and exceptional" civilization. This document is based on declassified intelligence from France’s own sources. On 4 April 2017, air strikes against civilians in the city of Khan Sheikhoun killed more than 80 people. According to our experts, the symptoms observed immediately afterwards (pupil contraction, suffocation, bluing of lips, white foam on faces, convulsions), the high number of deaths, and the fact that certain responders and medical staff suffered secondary contamination are consistent with the use of a highly lethal neurotoxic agent. This has now been confirmed scientifically. These strikes come in the context of continuous use since 2013 of chemical weapons or chemical agents in Syria, particularly during air strikes, including after the Syrian regime committed to dismantling its chemical weapons arsenal on 25 October 2013. France has collected biomedical and environmental samples and munitions and pieces of munitions in Syria on several occasions, and has been able to confirm the use of chlorine and sarin several times. The attached table lists France’s evaluations. a) France has deployed the required resources to obtain its own samples from the alleged sarin attack on 4 April 2017 in Idlib Governorate. b) The analyses carried out by French experts on the environmental samples collected at one of the impact points of the chemical attack at Khan Sheikhoun on 4 April 2017 reveal the presence of sarin, of a specific secondary product (diisopropyl methylphosphonate – DIMP) formed during synthesis of sarin from isopropanol and DF (methylphosphonyl difluoride), and hexamine. Analysis of biomedical samples also shows that a victim of the Khan Sheikhoun attack, a sample of whose blood was taken in Syria on the very day of the attack, was exposed to sarin. 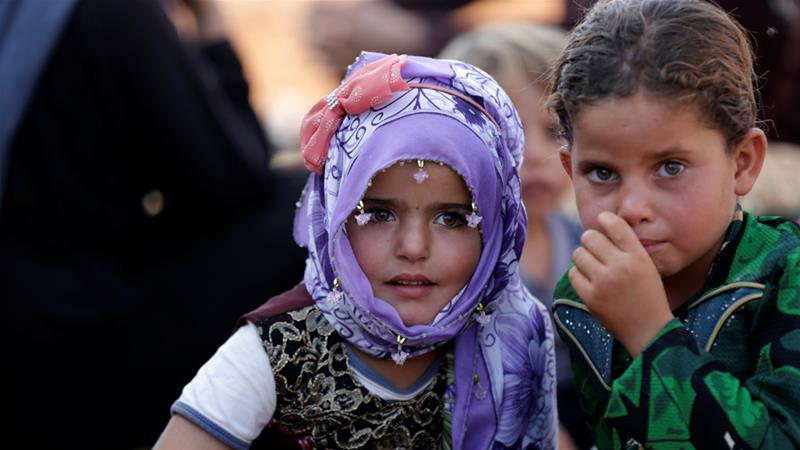 (Al Jazeera ) Syria has witnessed unprecedented levels of internal displacement not seen throughout the seven-year conflict with more than one million forced to flee, a UN report said on Wednesday. The 24-page report by the UN Commission of Inquiry - to be presented at the 39th session of the UN Human Rights Council in Geneva on September 17 - detailed the ordeal many Syrians have faced in the last six months. The Kremlin’s disinformation campaign is ramping up ahead of the planned Russian and Syrian government operation in Idlib, billed as the last major battle of the Syrian war. Never mind that independent UN investigators have previously proved that the Syrian regime, backed by Moscow’s political and military machine, have carried out chemical attacks that have killed hundreds of civilians around the country. The repeated denials of such chemical weapons use by the regime of Bashar Al Assad and his Russian sponsors – in the face of all evidence – are being reinforced by Russian counterclaims aimed at obfuscating the issue. A child wears an improvised gas masks in Syria's rebel-held northern Idlib province. Introduction: (New Statesman) Here we go once more. Bashar al-Assad is turning his attention towards Syria’s last significant pocket of anti-regime resistance, located in the northern province of Idlib, close to the Turkish border. He is approaching this campaign buoyed by a series of decisive victories in the south that brought the Quneitra and Daraa governorates back under regime control – the latter being the province that triggered the original uprising in 2011. Having already re-established control elsewhere, such as in Aleppo in December 2016, and Homs almost a year before that, Assad has been slowly reasserting himself over Syria’s most important and strategic areas. As the battle now moves to Idlib province, the last important redoubt for the armed opposition, the stage is set for one of the fiercest confrontations of the war so far. Over the last 24 months, whenever Assad reclaimed various parts of the country, rebels and activists who resisted peace deals were moved to Idlib in brokered agreements. Convoys of lime-green buses have become an infamous endnote to these revanchist campaigns, ferrying beleaguered rebels and their families up to Idlib. …The war has become a zero-sum game for both the rebels and jihadists who find themselves confined to Idlib. They are among the most committed of Assad’s opponents, having already refused to surrender or negotiate elsewhere in the country. There are also thousands of foreign fighters in Idlib province, among them many Britons and other Europeans. Each side is already accusing the other of preparing to use chemical weapons in a foreshadowing of the propaganda war that will follow should these weapons be used in Idlib, as they have been elsewhere. For the thousands of ordinary Syrians who fled to Idlib in search of safety, this new offensive will produce yet another wave of gruesome human suffering. Some policymakers are tempted to see the Syrian conflict as drawing to an end, particularly as the campaign to recapture Idlib gets ever closer. Although the intensity of the war is certainly paring, as rebels find themselves displaced into the protected northern Aleppo enclave, there is in truth no sense of an ending to the misery and suffering. A man shelters in an underground cave in Idlib. I swear, the hawks on both sides are going to drag us into a war yet. (Business Insider) The US has a small aircraft carrier hosting F-35B stealth fighter jets in the Middle East as Russia threatens US forces in Syria — and if fighting breaks out the US will have no choice but to send in the advanced fighters. Russia and its ally, Syria, have launched a massive offensive against Idlib, the last rebel-held area in the country, and appeared to predict chemical weapons use in the process. Syria's government has been linked to 33 cases of chemical weapons use against its own people during the 7 year-long civil war, and along with Russia stands accused of war crimes such as the indiscriminate bombing of hospitals and schools. Russian media has accused terrorists and groups with US-backing of plotting to stage, and to actually carry out, a chemical weapons attack on children and families in Idlib to justify attacking the Syrian regime. But Russia has made these claims before, and it hasn't stopped the US from striking Syria in the past. This time, as Syria and Russia eye a bloody victory over the last remaining rebels, Russia has telegraphed that it would counter-attack the US if US missiles hit Syrian targets over chemical weapons use. This is why I didn't think Hillary was any more dangerous the Trump. Push comes to shove, and Trump is probably going to side with the hard liners. I hope I am wrong on that. Wasp-class amphibious assault ship USS Essex (LHD 2) transits the Gulf of Aden during a vertical replenishment while on a regularly scheduled deployment of Essex Amphibious Ready Group (ARG) and 13th Marine Expeditionary Unit (MEU). Idlib operation was clearly delayed, because of disagreements with Turkey. The second round of Russian-Turkish negotiations will happen at 17 september. So, we have another few days of guaranteed peace. And then... yes, anything can happen. As I told many times, i'm a bit of fatalist: "do your best and let happens what happens". PS by "do your best" i mean Russia MUST retaliate if USA will dare to attack us in Syria. If necessary, send this beautiful warship from previous post to the sea bottom. 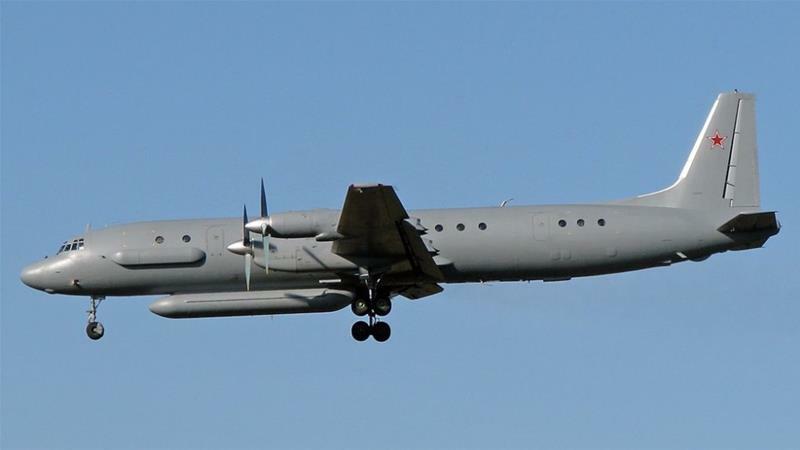 The Russian military said the Il-20 reconnaissance aircraft was hit late Monday as it was returning to its home base. Russian state television quoted a defense ministry statement as saying that Defense Minister Sergei Shoigu told his Israeli counterpart, Avigdor Lieberman, that Israel is "fully to blame" for the deaths. Russia said contact with the plane was lost as it flew over the Mediterranean Sea about 35km from the Syrian coast. Looks like a real argument has developed as to who really has fought ISIS the hardest. (The National) Syrian Foreign Minister Walid Al Muallem on Saturday lashed out at United States policy in Syria and accused the anti-ISIS coalition of “committing mass killings” and “supporting terrorism”. Mr Al Muallem spoke at the United Nations General Assembly, where he told the international gathering that the US, French and Turkish military presence in Syria was illegitimate and would be dealt with accordingly. “We are committed to continuing the holy battle until we clear the entire territory of Syria of terrorist groups and illegal foreign presence," he said. The minister also denounced the anti-ISIS coalition, saying it "has fought everything except terrorism”, and accusing it of destroying Raqqa and committing massacres against civilians. The US-led coalition defeated ISIS in its de-facto capital Raqqa last October, dealing a military blow to the group after three years of controlling the Syrian city. The Assad regime will surely last another 900 years at the least. (The National) A vital border crossing between Jordan and Syria reopened on Monday for the first time in three years, promising to restore trade and movement between the two countries that had halted because of the war. Another crossing, between Syria and the Israeli-occupied Golan Heights, also reopened for UN observers who had left the area four years ago because of fighting there. The reopening of the crossings is a major boost to the Syrian government of President Bashar Assad, restoring a commercial lifeline to the outside world. It also reinforces the Syrian government's message that it is slowly emerging victorious from the seven-year conflict. The Syrian flag was raised at the Quneitra crossing between Syria and the Israeli-held Golan. The main border crossing between Jordan and war-torn Syria reopened on October 15 after three years closure. (The National) Since ISIS lost most of its self-declared caliphate in Syria and Iraq over the past two years, the extremists have been resorting to attacks on civilians to show that they are still effective. The area of Friday's attack is on the edge of the last pocket held by ISIS in Syria. Intense fighting has been ongoing on the area since Wednesday, amid a sandstorm. Not counting the dead in the camp for the displaced, the Observatory said the fighting in the area in the past three days killed 37 SDF fighters and 58 ISIS gunmen. Most of the militants died in coalition air strikes, it added. "ISIS is pressing its attacks in the Hajin area as the SDF battles to hold them off with the support of the international coalition," Observatory chief Rami Abdel Rahman told Agence France-Presse. Hundreds of foreigners have joined the YPG to battle ISIS, which has its own contingent of foreign fighters. Fighters of the US-backed Syrian Democratic Forces launched an operation against ISIS in Deir Ezzor on September 10, 2018. (The National) Russia will use Syria as a military training ground for years to come as part of President Vladimir Putin’s quest to cement his position at the head of a growing global power, according to new analysis published on Sunday. Moscow's dominant reason for involving itself in Syria is to gather influence and prestige at the centre of one of the great geopolitical disputes between major powers, a new paper released by London-based think-tank the Royal United Services Institute (Rusi) said. Mr Putin first announced that Russia would send ground forces to Syria in 2015 in support of long-term ally Bashar Al Assad. He cited attempts to prevent the spread of extremism to Russia but the intervention has contributed to the sharpening tensions with the United States and its allies amid a struggle for influence in the country. Both Russia and Iran are now seeking to parlay their military support for the regime into shaping the future of the country as Assad-backed forces close in on victory, according to a second Syria report published last week by the international affairs think-tank Chatham House. A file photo of Russian president Vladimir Putin hugging his Syrian counterpart Bashar Al Assad. (Bulletin of Atomic Scientists) Biological warfare has a long history, going back to when the Assyrians poisoned enemy water sources more than two millennia ago. But biological warfare, as commonly understood, has always involved introducing some sort of pathogen—ancient poisons, diseased corpses, plague-infested fleas, anthrax—into a population. In a story for Foreign Policy, the doctor and global public health expert Annie Sparrow advances a more unusual argument: That Syria’s embattled dictator Bashar Al-Assad, by deliberately degrading healthcare to encourage disease and death, is also conducting a form of biological warfare. Disease has always been associated with war, but historically wartime outbreaks afflicted mostly soldiers, who were jammed together in trenches or stuck in unsanitary hospital wards. Today, though, Assad is encouraging disease among civilians, not soldiers, and doing so by simply depriving them of modern medicine. As it turns out, it’s an easier way to kill people than weaponizing pathogens, which can be tricky and hard to control. Sparrow makes a compelling case. Assad’s forces have bombed hospitals, clinics, labs, and blood banks. They “went after doctors, criminalizing those who treated civilians and arresting, torturing, and executing any health care worker who defied government policy.” Assad withheld polio vaccinations from a region seen as non-loyal. His forces blocked humanitarian convoys from delivering surgical tools, sterile gloves, antibiotics, pneumonia kits, and splints. It adds up to “an intentional cultivation of disease in opposition-held areas,” Sparrow writes. Polio, eliminated from Syria in 1995, reappeared in 2013. The article also discusses developments in Yemen. Russia has called on the United States to withdraw from a base established by the Pentagon in southern Syria, alleging the presence runs contrary to international law. Colonel General Mikhail Mizintsev, head of Moscow's National Defense Control Center, addressed a joint session Friday of Russian and Syrian committees tasked with returning Syrian refugees and blamed the U.S. for deteriorating humanitarian conditions in the Rukban refugee camp. The settlement is located within a U.S.-controlled security zone surrounding the Al-Tanf base on the harsh border of Syria and Jordan and has witnessed starvation deaths due to lack of supplies. "Such a situation in which the camp finds itself reminds concentration camps of the Second World War, which seemed to be long gone. How is it possible in the modern world?" Mizintsev said. "Why, in these conditions, the world community, which cares so much about human rights, continues to persistently keep silent about the humanitarian disaster in the Rukban camp? In fact, being held hostage. "Why are the official structures of the United Nations responsible for providing all-round assistance to refugees, in fact, are not active and persistent in resolving global humanitarian issues related to the terrible situation of Syrian citizens in the Rukban camp?" he added. Russia is set to discuss this incident with the Turkish side, which is guarantor of the armed opposition's cessation of hostilities in the Idlib de-escalation zone. Russian military experts in chemical protection arrived in the city of Aleppo hours after militants launched a chlorine attack on residential districts of the city, the Russian Defense Ministry's spokesman, Maj. Gen. Igor Konashenkov, told reporters on Sunday.